Our intrepid correspondent seeks out the best places to eat, drink, read and relax within walking distance of the main campus. Avoid lousy lattes, escape the buzzing phones of the library, find somewhere inspiring! This quaint little spot can be found just off Great Ormond Street on Lamb’s Conduit Street, where I once drank one of the best coffees in London (on the street, not in the hospital – but that’s another story). 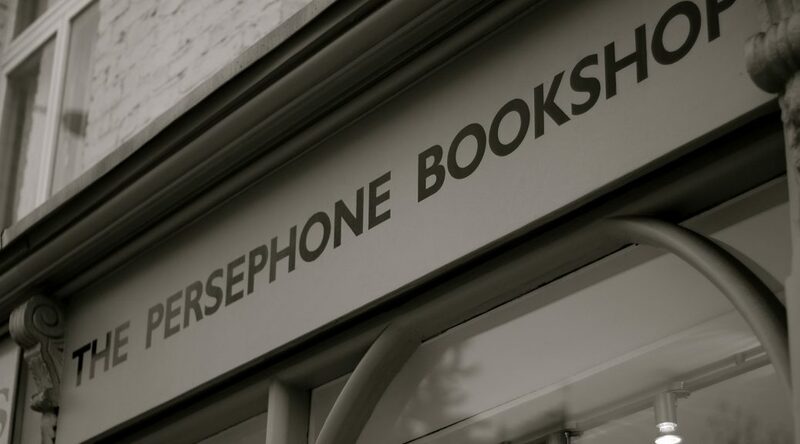 Walking in, one is transported by just how unlike any high street bookshop Persephone is. After trapezing through half of London on the prowl for textbooks (along with a thousand other equally-desperate people) this comes as a welcome distraction. I’m struck by how almost everything has the same greyish-blue cover, recalling frosty winter mornings. Books without matching covers are placed on a table in the corner, which satisfies my slightly manic organisational tendencies. Persephone reprints every title in their 117-strong catalogue (hence the uniform style), selecting fiction and non-fiction from neglected mid-twentieth-century women writers. Behind the identical bindings, each book reveals a new world to step into, from just a couple hours to a few days. Whilst I’ve not yet bought out the whole shop, I will promise, cross-my-heart-and-hope-to-die, that any volume you step out with will not leave you dissatisfied. In case you’re wondering, I am in a fulfilling relationship, but he’ll never be able to penetrate my lifelong affair with books. Don’t ask, it’s complicated. Apart from the obvious benefit that you can read snippets of books before you buy (it’s not the best place to try and read an entire book for free, as I have actually once done, albeit in a Waterstones), the staff are always helpful and willing to find something that suits you, as well as pointing out the shop’s most prized titles. And the best thing is, every one is by a woman. Literally women everywhere. All the books, most of them barely-known, are written only by women.